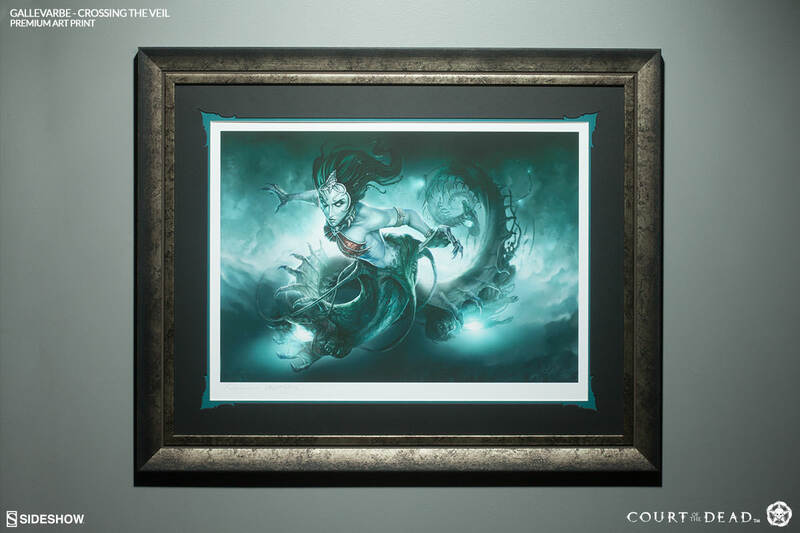 Joining our Court of the Dead Premium Art Prints collection, Sideshow Collectibles is proud to present Gallevarbe, Crossing the Veil, by Greg Titus and Tony Feliciano. Navigating the turbulent oceans between the realms of man and the Underworld, the irresistible siren lures her victims with powerful illusions, always hunting for the lost souls who dared attempt escape the grasp of Death. This 24×18” hand-numbered, limited edition art print features an authorized, automated penciled signature and embossed seal of authenticity, and is the perfect companion piece to display with Sideshow's Death's Siren Gallevarbe Premium Format Figure.